Cardamom spice is a highly aromatic spice that is most commonly used in Eastern, Arab, and some Scandinavian cuisines. Its unique slightly sweet and savory flavor allows it to be combined with both sweet and savory dishes. 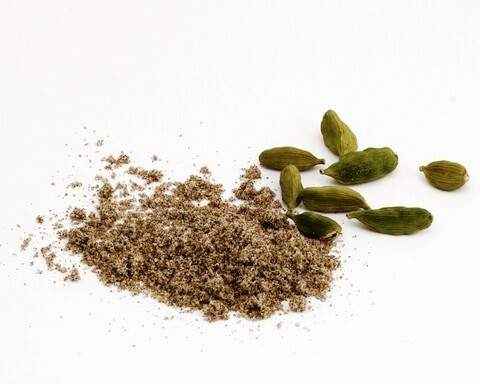 Cardamom seed's ability to enhance so many types of food is why it is combined with a wide range of other ingredients. From seafood to sauces, to meats, poultry, vegetables, and even desserts, pastries, and other baked goods. Numerous flavorful little cardamom seeds are encased within a single cardamom pod that are green in color when fresh. Cardamom spice has a complex flavor that can be described as slightly sweet, floral, and spicy with citric elements. It leaves the tongue with a warm antiseptic sensation similar to eucalyptus with an additional peppery after taste. Some have described its flavor as spicy and cola-like. Grind cardamom from one of the whole forms of the spice to insure a superior flavor and aroma, both of which are quickly lost when the spice is pre-ground. Ground cardamom is convenient to have for baking and other applications where the spice needs to be ground. Freshness and thus flavor is of course compromised when cardamom is pre-ground because it loses flavor soon after grinding. To appreciate cardamom's true flavor we suggest grinding it before use in a spice mill, electric coffee grinder, or mortar and pestle. It is available in 50g and 500g.